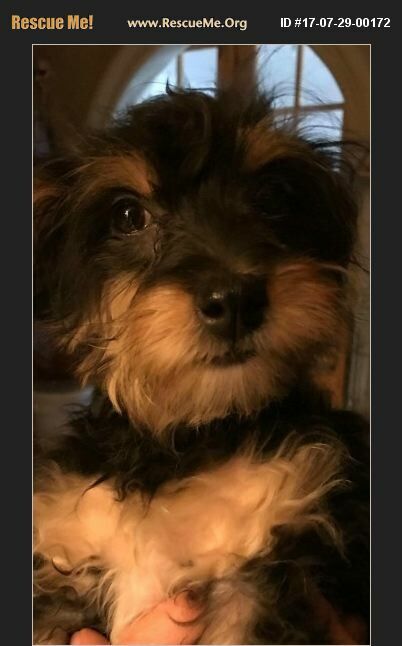 This 1-year-old YorkiePoo is extremely cute and all energy. She weighs about 6-7 lbs right now and will probably not be much bigger than 8-10 lbs when fully grown. She loves to play with other dogs (doesn't matter about the size) and she loves kids and adults. She's not bothered about cats. She's fully vaccinated, dewormed, spayed, and will be micro-chipped prior to adoption. She's looking for her new forever home with a great family - she deserves the BEST!! !